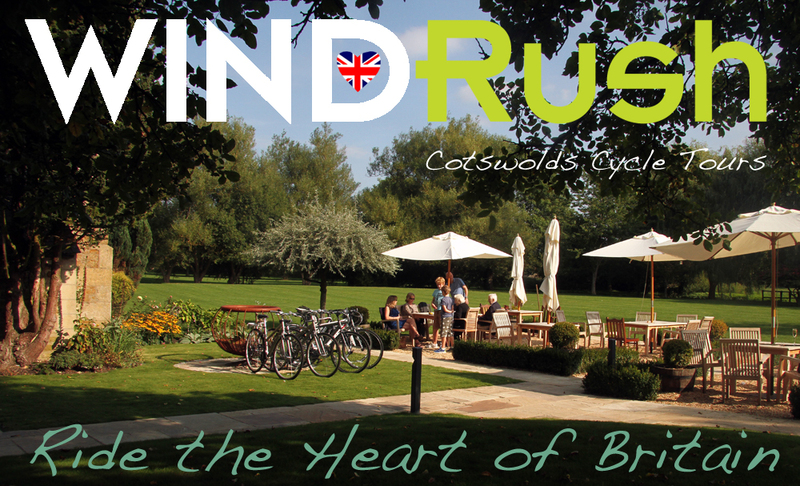 This new widget from Inspirock will help guests find Windrush Cycle Tours more easily on a host of specialist travel sites. 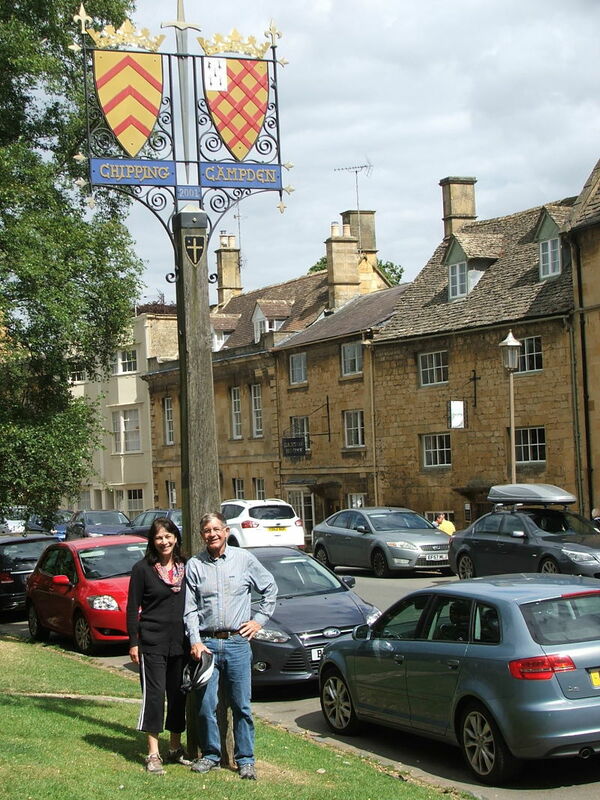 Kathy and Cory’s vacation to England in November included an excursion into the Cotswolds to discover the outstanding scenery for which the area is famous. Despite the cold temperature (4 degrees centigrade), clear blue skies and bright sunshine meant that it proved to be a great day to explore the area by bike. 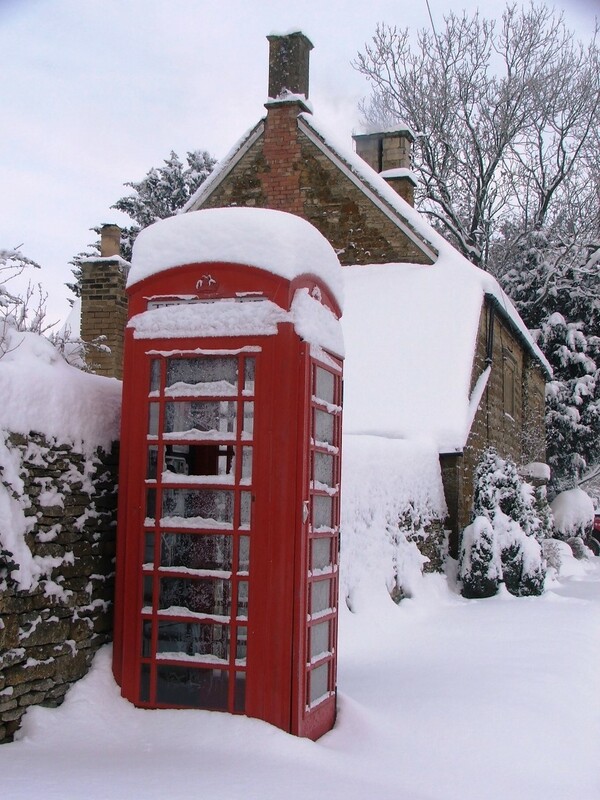 With good gloves, plenty of warm layers and hats under their helmets, they stayed warm through out the day and discovered a side of the Cotswolds that most tourists never experience. And the carefully chosen quiet lanes, which make riding here such a pleasure, were even quieter out of season. 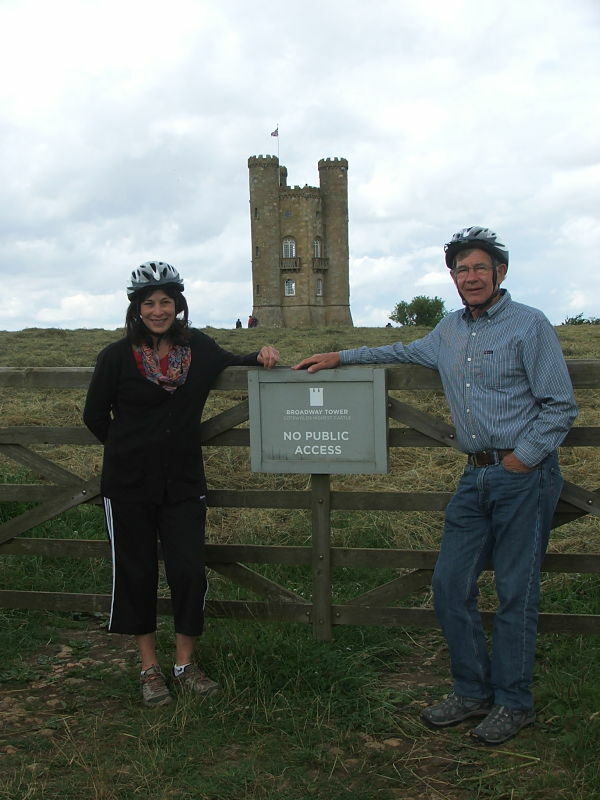 With several family members and friends who are keen cyclists, they are hoping to encourage others to visit in 2018!Why not join them and let Windrush Cycle Tours create a tailor made cycling or e-bike vacation for you to the Cotswold Hills in 2018, the largest “Area of Outstanding Natural Beauty” in England? 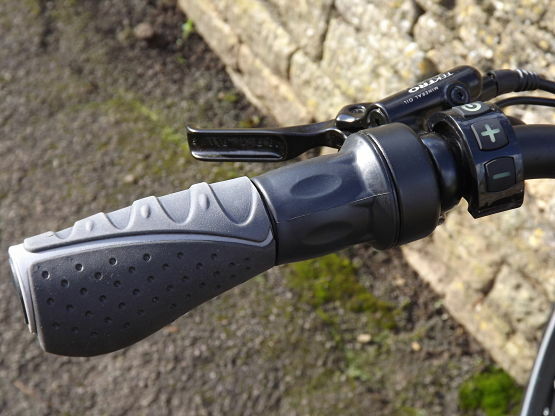 Other great features of the bikes are a sturdy rack (to mount the panniers we provide); high power LED lights which can be left on to make you highly visible to any vehicles; large easy to read digital display; powerful hydraulic disc brakes; smooth 8 speed gears; ergonomic handle bar grips and a comfy Selle Italia saddle. 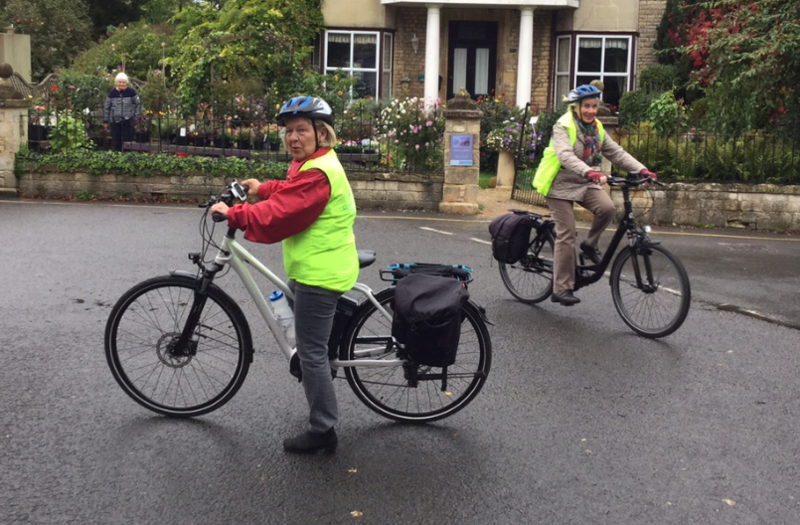 Maren and Ruth, both in their seventies and from Hamburg, emabarked on their own seven day e-bike adventure in September 2017. 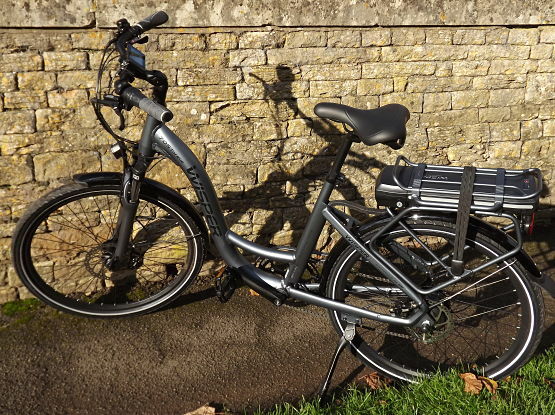 Having loved her guided e-bike tours in 2016, Maren was determined to return to the Cotwolds in 2017 to share the beauty of the area with her friend and explore the countryside and many of its famous gardens. In 2018 Maren plans to return again to share her love of the area and e-biking with her grandson. the wonderful experiences we went through in the lovely Cotswolds. all the beautiful gardens and parks we found !! Thank you again and ” Auf Wiedersehen ” next year ! “Peter, your website doesn’t get across how quiet the roads are here and how great the scenery is! This guided cycling vacation has been beyond our wildest expectations – the routes, the accommodation, the food the bikes and your organisation have all been outstanding. 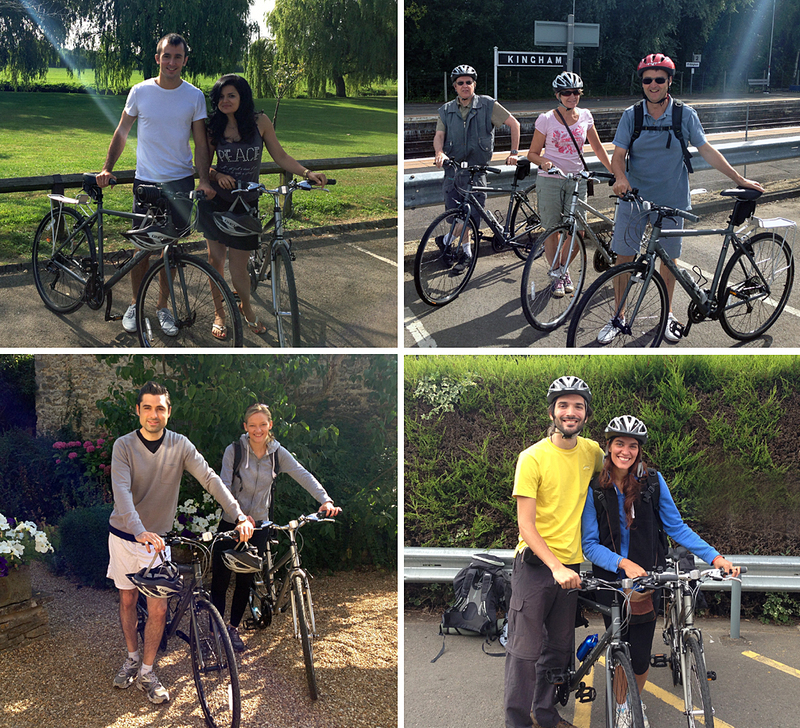 Even the weather is great for cycling – warm but not too hot. We loved Trek Emondas and the Jan’s e-bike meant that she could do so much more than she ever thought possible and she loved zipping up the hills leaving me in her wake. The only problem now is that I’ll need to find her a good e-bike when we get back to Calgary, although it will make a great Christmas present. Thanks again for everything, but get on your website and emphasise how great quiet the roads are – I was a bit concerned before we came, but they are among the best we’ve every cycled on! 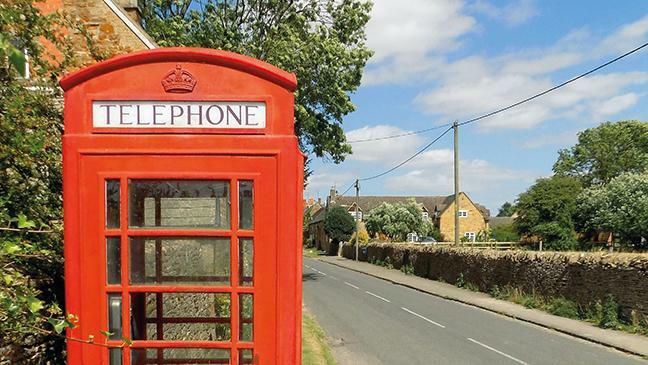 Don’t miss out – on your next cycling holiday with Windrush or on your Cotswold Electric Bike Tour, make sure you’ve got your selfie or group photo with Kingham’s famous K6 phonebox and be the envy of all your friends! Charles and Thelma’s tour covered every part of the north Cotswolds, enabling them to explore as far south as Bampton, where many of the outdoor scenes from Downton Abbey were filmed and north, to Stratford-upon-Avon, to enjoy a production of Hamlet by the Royal Shakespear Company and the wonderfully preserved buildings where the Bard lived. 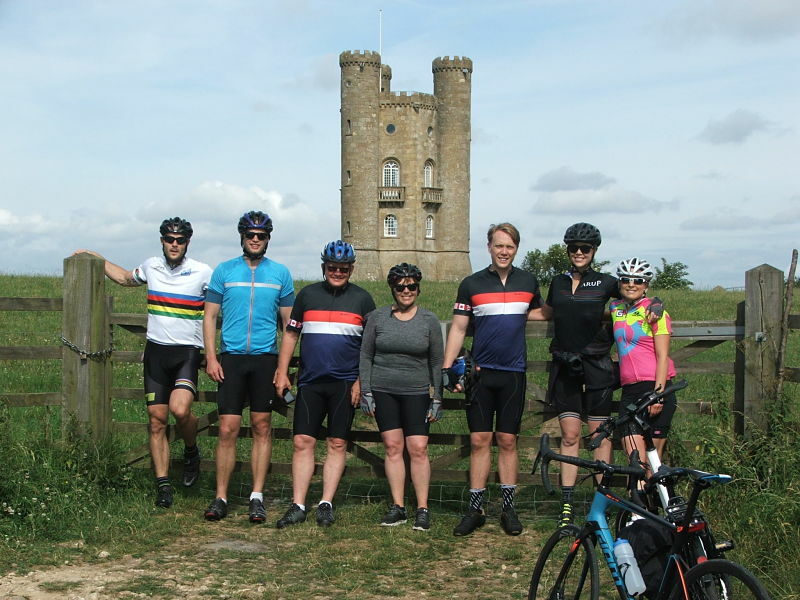 Charles quickly mastered the Garmin and confidently navigated the intricate winding country lanes and they both rose to the challenge of the ascent of the scarp slope of the Cotswolds from Stratford to Chipping Campden. Blessed with Goldilock’s cycling weather (not too hot, not too cold) they’ve returned to Boston after a memorable week. 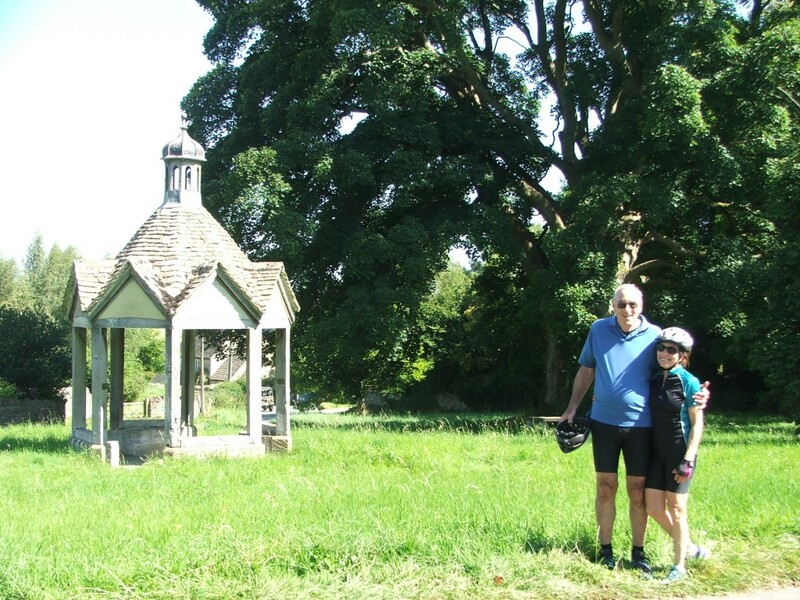 When Kim and Jill Johnson, from Melbourne set off on their first circular route from Kingham, they were amazed to discover that they were staying just a mile or so from Daylesford which, by the strangest coincidence, is the name of the town where they come from in Australia. 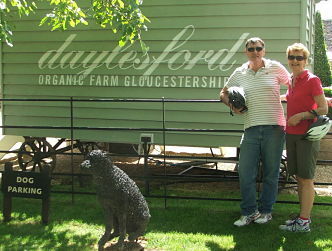 The parallel universe expanded when they visited the famous organic farm shop in Gloucestershire, because it reminded them so much of home – Daylesford, near Melbourne is an up-market district with lakes and fine restaurants! The biggest difference they noticed was the endless lush green landscape and charming villages in towns everywhere they cycled during their three day stay. 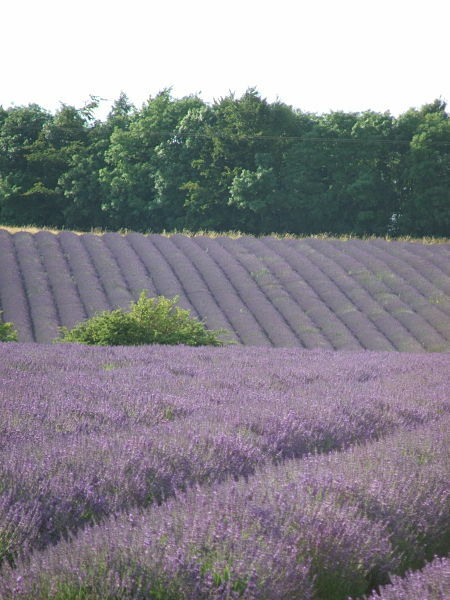 Jane and Mike were amazed by the constantly changing scenery and unexpected surprises on their tour which included the scarp slope of the Cotswold hills. Broadway Tower, a magnificent folly, with magnificent views over the Vale of Evesham across to the Black mountain in Wales contrasted so much with the genteel atmosphere of the Chipping Campden. During lunch at a delightful wayside inn, Jane was especially pleased to be joined by a group on a cross-country horse trail who shared their refreshments with their horses! Inspired to take a holiday at short notice, Meg and Stephan, decided to combine some time in London visiting the theatre and galleries, with 6 days in the Cotswolds enjoying the English countryside at its best. 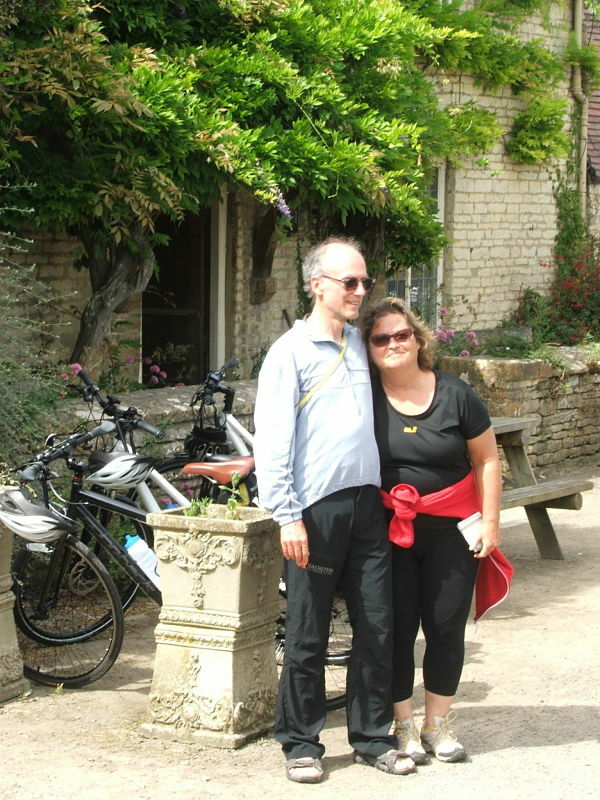 With 2 day stops at very delightful bed and breakfasts in Churchill, Fulbrook and Broadway, their holiday comprised longer rides followed and shorter recovery rides on alternate days, giving them the opportunity to explore some of the most enchanting parts of the Cotswolds on their carefully planned routes. With an interest in wildlife, and birds in particular, Stephan was pleased to see ravens, red kite, buzzards, kestrels, sparrow hawks and even a hobby on their rides. Meg was delighted to discover that Stratford upon Avon was only a few miles from their B & B and managed to get late tickets to see Hamlet at the Royal Shakespear Company on their final night to round off a perfect holiday.